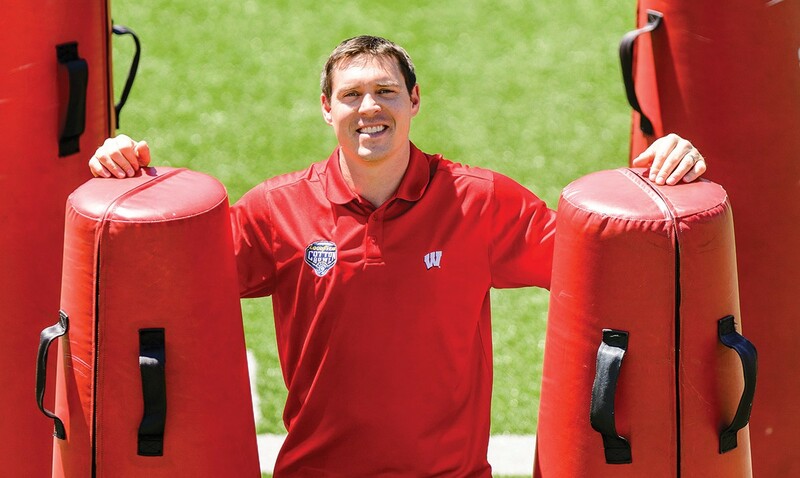 In a recent USA Football Coach and Coordinator podcast, University of Wisconsin’s defensive coordinator Jim Leonhard joined as the first guest on the new “Home Team” series. This segment, hosted by assistant coach and offensive line coach at Brookfield Central (Wisconsin) High School, Joel Nellis, will broadcast once every Monday for the next few weeks. Nellis was also a guest on the Coach and Coordinator podcast on July 2. The series will include interviews with various coaches and how the balance a career in football with home life. Before coaching at Wisconsin, Leonhard was an All-American defensive back there. He later spent 10 seasons in the NFL with the Buffalo Bills, Baltimore Ravens, New York Jets, Denver Broncos, New Orleans Saints and Cleveland Browns. Leonhard is entering his third season with the Badgers. Leonhard coached the defensive backs during his first season at Wisconsin, and then was promoted to defensive coordinator in his second year. In the podcast, Leonhard discusses the importance of creating a balance with home life and your career. He also shares how he integrates his family into his work. Leonhard says that it’s easy for players to be self-centered in sports and it’s important to see that it’s bigger than just them. Leonhard wants to see his kids learn from the passion he’s had coaching football and apply it to their lives one day. To hear the rest of Leonhard&apos;s interview on the podcast, click here.